Every year in The Top 100 Australian Food & Drink Companies report, created in collaboration with IBISWorld, we take a look a which companies have shot up the ranks of the 2018 Top 100, and what drove their rising revenues. The stellar performers of this year’s list were headed by Allied Pinnacle, which rocketed up the rankings thanks to a 150 per cent rise in revenue, according to IBISWorld senior industry analyst Bao Vuong. The bakery goods company jumped 40 spots from #80 following last year’s acquisition of Allied Mills Australia. Superior Food Group jumped from #82 to #36 this year, due to the benefit of bolt-on acquisitions made during the year and the full-year benefit of acquisitions made in the previous year like the acquisition of Sealanes, Vuong says. Teys was the biggest mover in the top ten, jumping three spots to number five this year, thanks to rising revenues of 11.1 per cent from 2017 to 2018. "Factors that contributed to this jump include high domestic beef and lamb prices and an expected increase in industry output," Vuong says. A number of dairy disruptors also did well this year. The a2 Milk Company rose up the rankings to #31, up from #44, thanks to an 84 per cent jump in revenue due to the growing success of its a2 Platinum infant formula. “The company has continued to grow its market share both domestically and internationally. It has also entered new markets in South East Asia this year,” Vuong says. Bellamy’s Organic also reported rising revenues, taking it from #79 to #63, and Freedom Foods Group rose from #68 to #59, helped along by the launch of its Australia’s Own Dairy range. 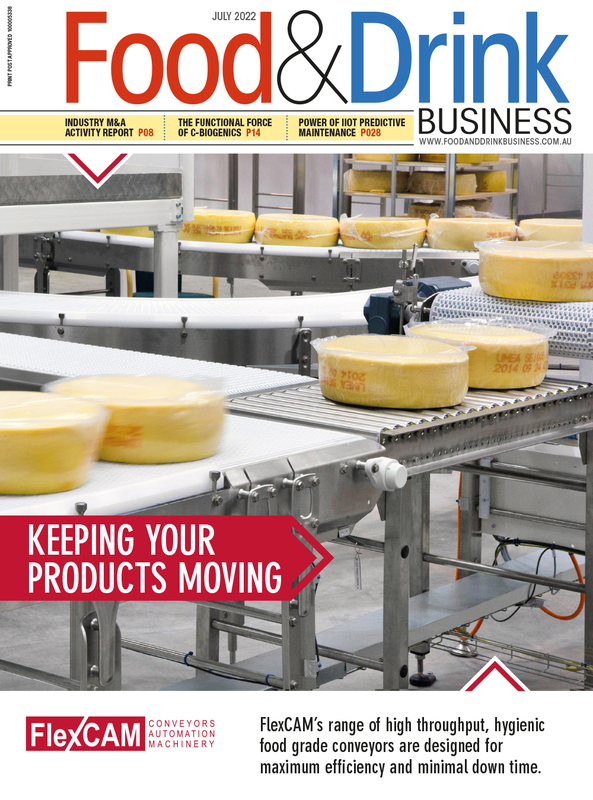 “The main driving force for Freedom’s growth is the company’s dairy segment. Continued strong performance in Australian and Asian markets, and the launch of its Australia’s Own Dairy range helped to grow its revenue this year,” Vuong says. Rising revenues saw seafood company KB Food Company rise from #50 to #44, tea and coffee company JDE Professional rise from #63 to #56, and alcoholic beverage company Brown-Forman Australia rise from #93 to #87. Many other companies saw notable revenue increases, including fresh produce company Costa Group (#27), largely thanks to growth in the citrus and avocado markets, Vuong says. WAMMCO International (#57) saw an increase in revenue to $380m on the back of higher livestock availability and higher selling prices. Vuong attributed a revenue surge for Huon Aquaculture Group (#61) to an increase in sales volumes, better domestic pricing and strong international salmon price. A strategy by Australian Vintage (#76) to focus on the UK market resulted in a 25 per cent increase in UK/Europe sales, Vuong says. "In addition, its three core brands, McGuigan, Tempus Two and Nepenthe have strong performance with a 14 per cent sales increase," he noted. KB Food Company's revenue growth followed its acquisition of KB Seafoods in early 2016, making this its first full-year of operation.